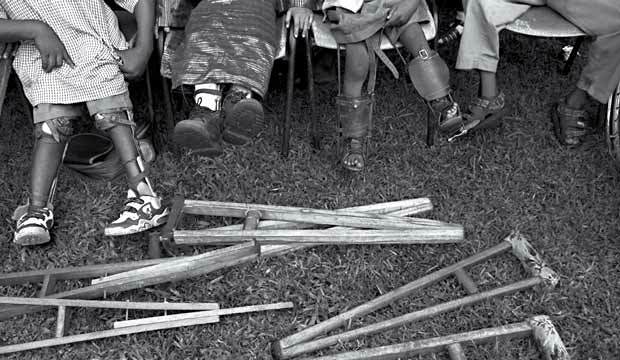 POLIO IS ALMOST GONE, BUT WILL IT EVER BE? Eradication plans have been in place for decades // Two vaccines have saved millions of lives // More countries become virus-free each year // But several doors to infection remain wide open. Some of these kids have been vaccinated 10 or 12 times,” says Olen Kew, “and they still get paralytic polio.” For 21 years, Kew, chief of the molecular virology laboratory at the Centers for Disease Control and Prevention in Atlanta, has been involved with the global effort to eradicate polio. His voice cracks in frustration as he recounts the virus’s continued elusiveness even as the campaign, launched by the World Health Assembly in 1988, draws nearer its goal.